Catch up on the horror that’s been unleashed upon Riverdale! 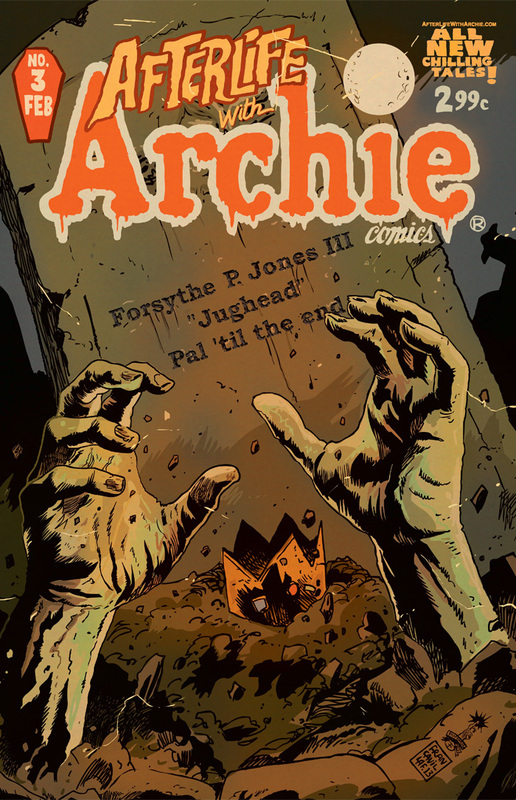 If you missed out on snagging a copy of Afterlife With Archie #2 before it sold out, get a special 2nd print edition of the issue in comic shops JANUARY 1, 2014. 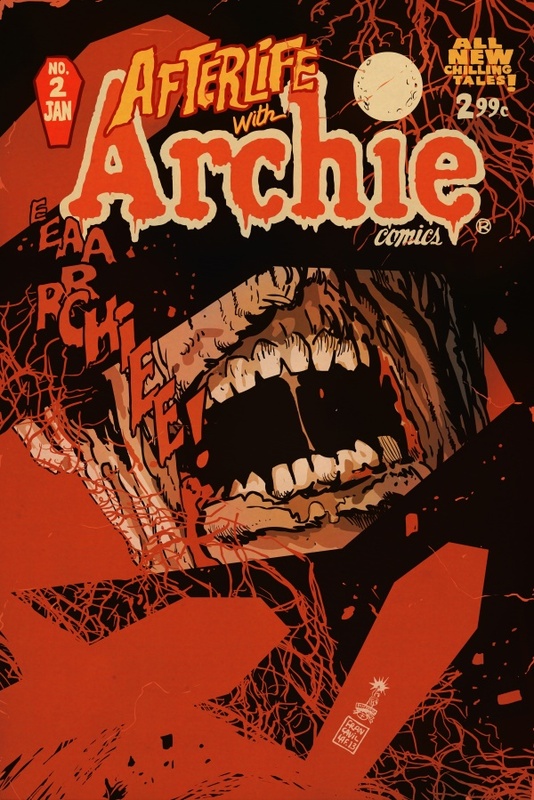 Then, watch the terror unfold as the spine-tingling tale continues in AFTERLIFE WITH ARCHIE #3, on sale JANUARY 8, 2014. Check out the exclusive trailer and preview pages here. That’s two weeks in a row of the Afterlife. Don’t miss out!